FORPHEUS, the world’s first robot table tennis tutor, embodies Omron’s vision of harmony between humans and machines and demonstrates Omron’s technological capabilities in sensing, control, artificial intelligence, machine learning and robotics. 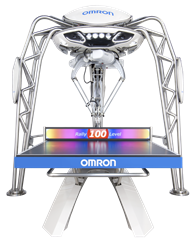 Omron Automation, a world leader and trusted partner in industrial automation, will showcase FORPHEUS, the world’s first AI-equipped table tennis tutor, and its advanced automation solutions at Automation Technology Expo West. Visitors to Omron’s booth, #4395, at the Anaheim Convention Center will experience how Omron technology enables flexibility, traceability and creates the factory of the future through innovative solutions that are integrated, interactive and intelligent.